Rerun the Production Mold. 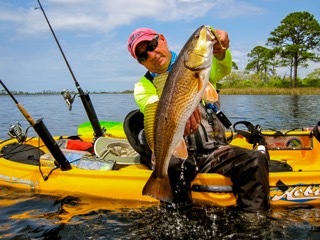 That could well be what Dagger’s RPM, at one-time the world’s best-selling kayak, stands for as the company brings back one of its most popular whitewater models, whose mold has been gathering cobwebs for 17 years. First released in 1996 in the heat of the got-to-have-it freestyle craze, the RPM quickly became Dagger’s all-time best-seller, largely for its universal design. 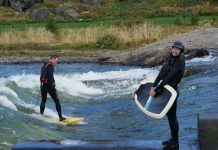 Freestylers loved it for its playability, which at the time consisted largely of cartwheels and endos, while beginners and intermediates liked it for its versatility and maneuverability (and fact that they could paddle in what the pros did). These stripes quickly led to sales. Pulliam adds that he and Chris Spelius also played a role in the design, taking it out for near-daily tests on the nearby Ocoee River. Still harboring the original displacement hull, the new version has been updated with new safety features and Dagger’s Contour Ergo Outfitting, including a thermo-molded seat with a bulkhead footbrace system, adjustable hip pads and thigh braces. According to Dagger marketing manager Jessica Prescott, production will continue for a limited time. The reason for its sales success lies with its design. “Every single surface on the boat was thought out, and every shape was there for a reason,” continues Pulliam, adding that everyone loved its effortless stern squirts. 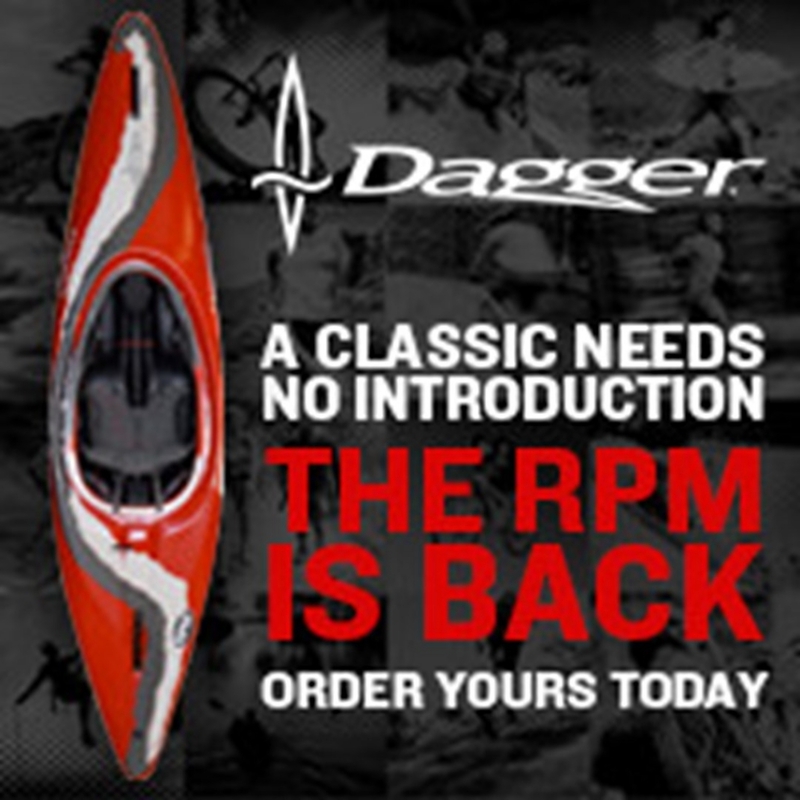 “Even as Dagger and others came out with new models, and the picture was clear that flat bottoms were the future, the RPM was so easy to use that it continued to outsell everything. 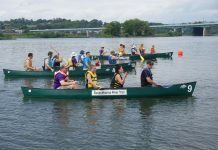 It was at the end of the “one boat for all uses” era….you paddled creeks in the same boat you entered in a freestyle event. We’ve become much more specialized now, for better or worse. “The RPM was likely the last big selling, non-planing hull boat,” he adds. As for its results on the world stage, the boat was based off a prototype of the Dagger Transition, which Eric Jackson paddled to first place and Scott Shipley second at the World FReestyle Championships at the Ocoee River in 1995, a year before the boat came out in 1996.